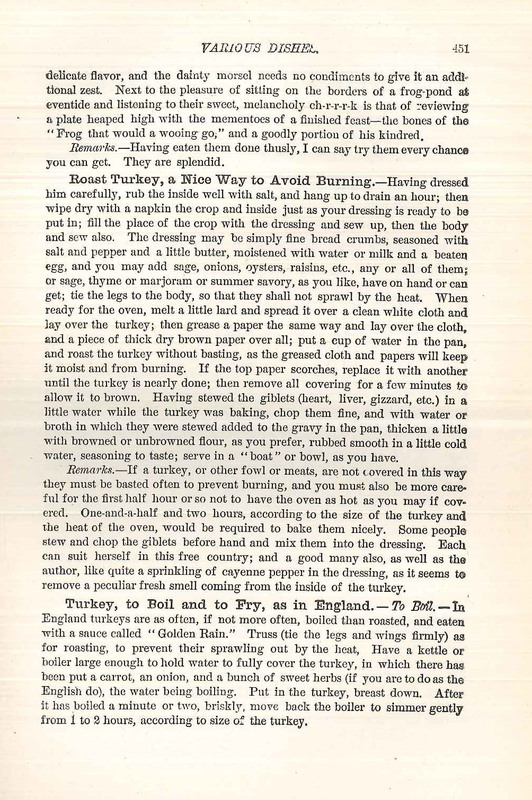 As we head into the Thanksgiving holiday, some may be searching for inspiration for their feast. 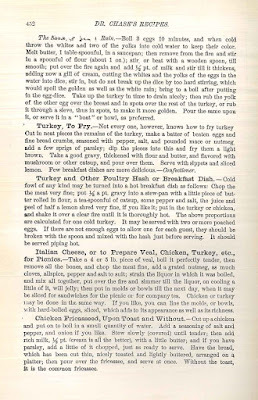 Instead of pondering the latest trends in the magazines and on TV, we decided to take a look back at some traditional recipes found in the vast collection of cookbooks on the Clarke's shelves. 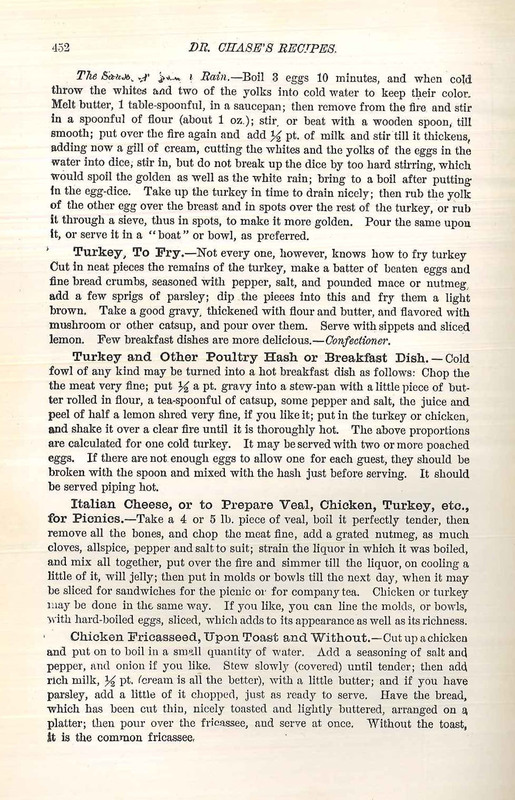 In the nineteenth century, Dr. Chase’s Recipes was America’s most published cookbook. 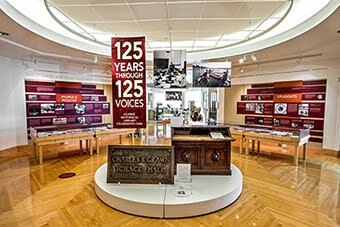 An almanac that included all sorts of information including recipes, the book was published in Ann Arbor for more than a half-century. With over four million copies sold, the publisher claimed that the only book in wider circulation was the Bible. 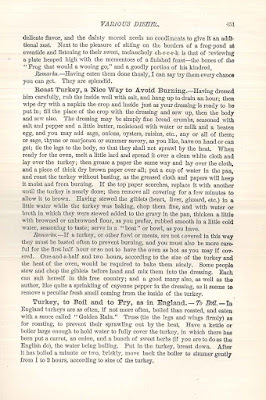 If, by chance, you’ve grown tired of the traditional roasted turkey, but think a turkey fryer may not be the way to go, the good doctor offered an English recipe to boil the bird and serve it with a sauce named “golden rain,” which is a cream sauce that included hard boil eggs, from which came the “golden” color.